First published in 1951 Arnold Hausers commanding work presents an account of the development and meaning of art from its origins in the Stone Age through to the Film Age. Exploring the interaction between art and society, Hauser effectively details social and historical movements and sketches the frameworks in which visual art is produced. This new edition provides an excellent introduction to the work of Arnold Hauser. 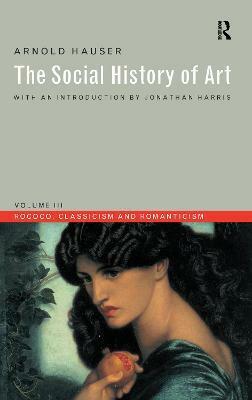 In his general introduction to The Social History of Art, Jonathan Harris asseses the importance of the work for contemporary art history and visual culture. In addition, an introduction to each volume provides a synopsis of Hausers narrative and serves as a critical guide to the text, identifying major themes, trends and arguments.